This compilation of music from Island Records artists was compiled to celebrate Island’s 25th birthday in 1987. 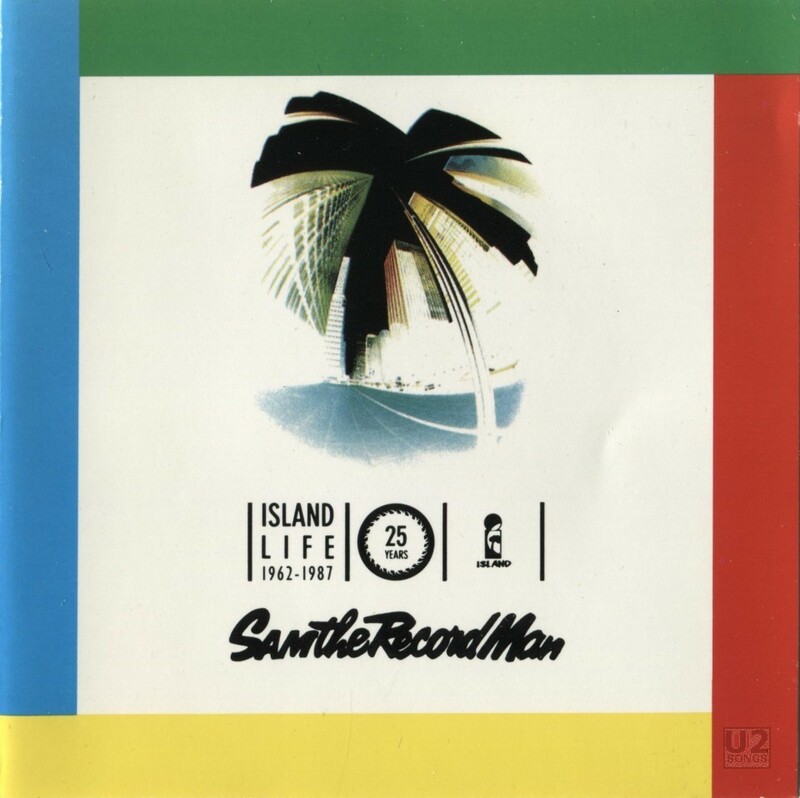 The compilation was a promotional compilation, made for use in Sam the Record Man stores in Canada to promote the 25th birthday and Island’s artists. The compilation contained two tracks from U2, the longer version of “Pride” and the album version of “I Still Haven’t Found What I’m Looking For”. Sam the Record Man was a chain of music stores that were popular in Canada at the time. The CD featuring U2 would have been one of the earlier CDs featuring U2 pressed in Canada, as they Island started pressing CDs in Canada just a few months prior, and “The Joshua Tree” would have been the first CD produced in Canada in March of that year.